If the global economy seems unfair, how should we understand what a fair global economy would be? What ideas of fairness, if any, apply, and what significance do they have for policy and law? 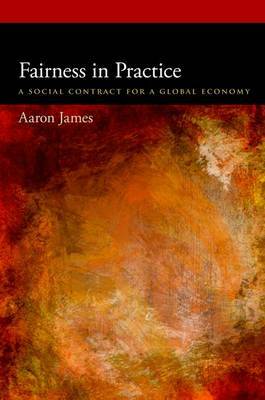 Working within the social contract tradition, this book argues that fairness is best seen as a kind of equity in practice. The global economy as we know it is organized by an international social practice in which countries mutually rely upon common markets. This practice generates shared responsibilities of "structural equity," independently of humanitarian, human rights, or other justice concerns, for how benefits and burdens are distributed across different societies and their social classes. Equity in the practice of trade requires not only compensation of people harmed by their exposure to global economic forces, but also equal division of the "gains of trade," across and within societies, unless still greater gains flow to developing countries. Fairness therefore calls for strong social insurance schemes, international capital controls, policy flexibility for developing countries, and more-all as the "fair price" of free trade.